If you love your cupcakes, or brownies, or even savoury items like croissants, patties or delicious different types of bread, then Foodybreaks Academy is where one goes to learn all things baking. If you are just visiting Goa, it is definitely a great way to spend a day whilst learning something new to show off back home. The place is headed by Kunal, who in the past was the Chef Patissier at the Michelin star restaurant Rasoi by Vineet Bhatia in Geneva, amongst many other popular places. Whoever said that you can’t have your cake and eat it too, definitely needs to go here. if you are looking to learn just for fun, or just plain not satisfied with finding what you want in the local bakeries, or maybe looking to start a small home business then their half-day workshops are just what you need. If you are really keen on getting that home bakery or even a commercial bakery going, then instead of spending a bomb elsewhere do the 4-month level 2 international diploma in patisserie awarded by the City & Guild’s London School all the way from the UK right here in Goa. We loved the half-day workshops they do every Saturday or Sunday for amateurs like us, who just want to experiment and learn a little more about baking. They offer various ones for adults as well as kids, from Eggless Cake Pops workshop (and only at INR 2000 per head inclusive of even the ingredients & you get to take your baked goodies home) the Bake Your Own Breads workshop (again INR 2000 all inclusive) you get to learn how to make baguettes, beetroot focaccia, mango bloomer, pesto pull-aparts & carrot fennel loaf. We even tried a workshop where they taught us some savoury and yummy treats like quiches, patties and more. 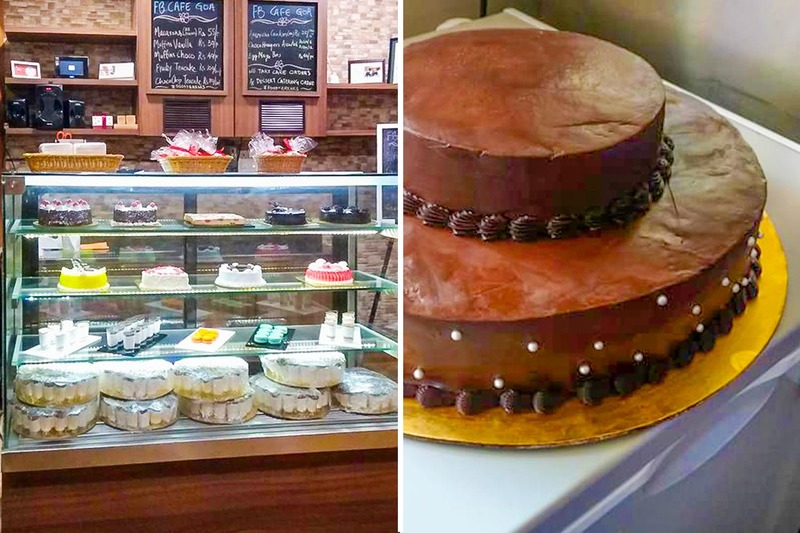 If you want to get serious then they even have the 5-month diploma and now even offer a 5-day cake certificate course, that covers cakes from the basic to intermediate level for just INR 15000. They even give you talks by professionals on how to start off your business, from marketing to PR, to finance they cover it all. Since we got to take a large boxful of goodies home and learnt how to make 5 types of wonderful bread, we definitely recommend these half-day courses to all of you that are looking to knead their way to fresh bread or just for the fun of licking cake batter. Plus for the 4-month diploma course starting July they are offering a whopping discount, so instead of INR 2,94,200 this time you only need to pay INR 2,51,000. Plus how can one forget that you will be living in Goa for those 4 months and enjoy all that Goa has to offer. For more details on courses and to book check here.